This guide gives details of what you should do when taking over a payroll at the start of a tax year i.e. where the payroll has previously been processed by someone else /other software/another accountant etc in previous years, and you are processing payroll from the first pay period of a new tax year. We recommend that you read through the whole guide first before beginning data input, as there are a number of different options and possibilities depending on the type and quality of information that you are able to obtain from the previous payroll processor/software. If you are taking over a payroll mid way through a tax year (i.e. some pay periods have already been processed by the previous provider) then please refer to our Starting mid-way through the year guide instead. It is important that you obtain the correct information from the previous payroll processor. 5 – Start processing the payroll for the current pay period. 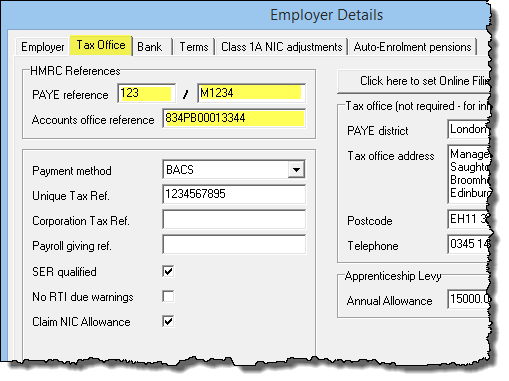 Once you have entered the employer details and pension scheme details, have added the details of each employee then you are ready to start processing the payroll as normal. 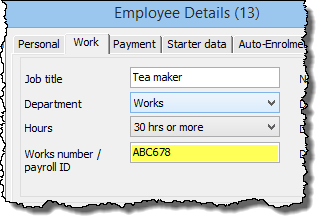 Instead of manually entering employee data it is possible to import this information if you wish. In order to do this you must have complete and accurate employee details in a csv file format from the previous payroll processor. Importing data in this way replaces the procedures detailed in section 4 above. See our guide importing from other software if you wish to use this method.